I just got off a Skype call with Judy Stakee and a small crowd of aspiring songwriters in her “It All Starts With A Song” retreat where I blabbed (not unsolicited), about my journey in the biz. During the Q&A someone asked what the key is to getting yourself in the “room where it happens.” It’s the answerless question I get asked all the time. Because there are simply too many answers. Right before I got on the call I had started composing this blog. I took that as a sign. So I told the girl this: Say yes. Say yes to everything. Wake up, look yourself in the mirror and say it. Raise your hand. If you don’t know the answer, guess. Last year after I joined a social media group called Women In Music I was immediately flooded with mail from everyone… sharing, inviting, reaching out. I made a smart folder so I could address those emails at a later time but as I was organizing it I happened to see a bit of copy from an out-of-town girl asking if anyone had a weighted keyboard she could borrow during a writing trip to Southern Cali. Sh*t. I have one. Now what? If I don’t respond, what does that say about me? Why did I join that community if I didn't want to participate? I wish I didn’t see that email. I’m busy. I don’t have time to lend keyboards. I stared at her words. Who is this girl anyway? What do I know about her? Nothing. I checked out her website. She seemed cool. Talented even. F*ck. I wrote her back. I have one. It’s brand new. I don’t think I even used it yet. Come and get it. I loved this girl. And now she’s in my life. And she borrows my keyboard all the time. And house sits. And takes care of my kitties. Saying yes triggers a sequence of positive events. Not always immediately. Or obviously. Good things happen when you say yes. The Universe looks kindly upon yessers. Suzan Boyle won Britain’s Got Talent. I got a GRAMMY Nom for a book that I once couldn’t get published. All you college seniors who’ll be throwing your caps up soon, take heed of this cheesy blog. Go forth into the world and nod your head up and down a lot. The more you say yes to the Universe the more the Universe says yes to you. Let me know how a yes has changed your life. This is my sweet young friend Stacey, who borrowed my keyboard. I'd say she's putting it to good use. Thank you for reading my blog! 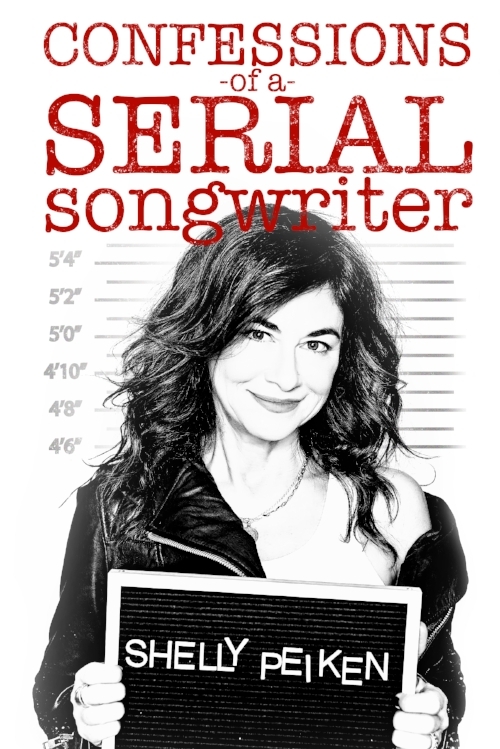 Please give a like to my Serial Songwriter Facebook Page, Follow me on Twitter. And Insta! Check out my whole website. Listen to my GRAMMY nominated Audiobook. :) Would you be interested in hosting me in a Living-Room-Live this summer? If so It's SOOOO much fun.